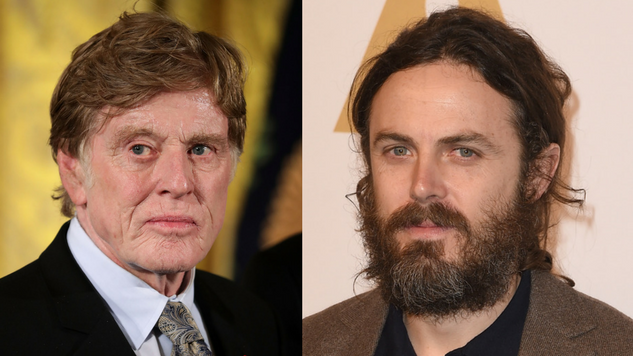 Robert Redford and Casey Affleck are reuniting with director David Lowery for his new film, The Old Man and the Gun, as first reported by Deadline. This marks the second collaboration with Lowery for both actors after Ain’t Them Bodies Saints (Affleck) and last summer’s Pete’s Dragon (Redford). The Old Man and the Gun follows the true story of Forrest Tucker, an old-school outlaw with an infamous repertoire of 18 prison breaks and numerous bank robberies under his belt. Redford will play Tucker, who in his 70s escaped from San Quentin and went on a spree of crimes in his twilight years. Affleck will play the detective who’s fascinated by Tucker’s commitment to his life of crime. Principal photography for The Old Man and the Gun begins sometime this spring, with a potential release date for next year. The film’s cast also includes Sissy Spacek, Danny Glover, Isiah Whitlock and Tika Sumpter. Paste recently caught up with Lowery to discuss his filmmaking and editing process—find that piece here.